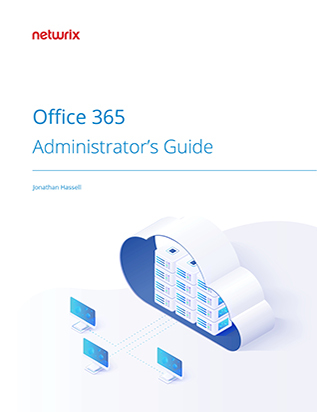 If you are just getting started with Office 365 or you want to master its administration, this guide is for you. The beginning features very easy tasks, including provisioning and de-provisioning of Office 365 user accounts. Then it offers guidelines on managing licenses and explains how to administer different applications using both the Office 365 admin console and PowerShell. Last, this Office 365 tutorial (.pdf) provides more advanced guidance, helping you set up a hybrid environment, secure your cloud-based email application with encryption and spam filtering, and more. After reading this guide, you’ll also know how to troubleshoot Office 365 issues, ensuring a seamless experience for your business users.